Hello Linux Geeksters. 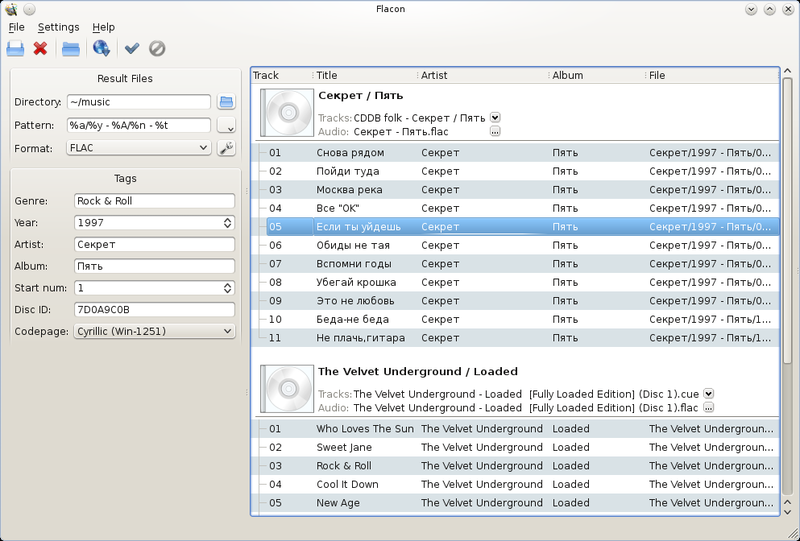 As you may know, Flacon is an open source application, written in C++ and built by using the Qt libraries, that enables the users to extract individual tracks from big audio files. It has support for the following formats (as input files): WAV, FLAC, APE, WavPack, True Audio (TTA) and outputs the following: FLAC, WAV, WavPack, AAC, OGG or MP3. The latest version available is Flacon 0.9.4, which comes with translation updates. For a full list of changes and improvements, see the official changelog. In this article I will show you how to install Flacon 0.9.4 on Ubuntu 13.10 Saucy Salamander, Ubuntu 13.04 Raring Ringtail, Ubuntu 12.10 Quantal Quetzal, Ubuntu 12.04 Precise Pangolin, Linux Mint 16 Petra, Linux Mint 15 Olivia, Linux Mint 14 Nadia, Linux Mint 13 Maya, Pear OS 8 and Elementary OS 0.2 Luna.